Our collection of products for dogs provides you with excellent holistic health information and inspiring solutions for behavior, training and relationship issues. 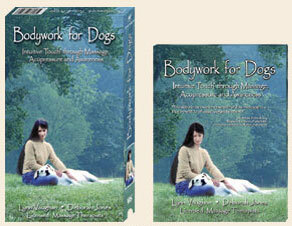 You'll find books, videos and CD's to improve your dog's health with massage, acupressure and energywork, to herbs, homeopathy, nutrition and much more; ones that give you a better understanding of your dog's nature and needs, create clearer communication and guide you through natural dog training. Looking for delicious, grain-free treats, eco-conscious toys or beautiful dog storybooks by brilliant writers? Gifts for your dog-loving friends and family? We have a wealth of wonderful items to choose from. By Dr. Clare Middle, BVMS, CVA, Cert IAVH.